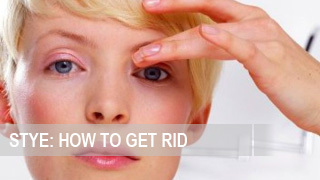 ﻿ How to cure eye stye quickly and without any harm to health? 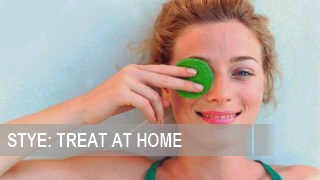 Home » How to cure eye stye quickly and without any harm to health? 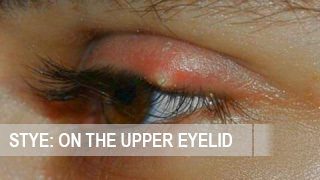 Those who faced the problem of stye know that this disease causes inconvenience and many worries. In addition to the cosmetic defect, the disease causes illiterate treatment; it can cause much more serious consequences. 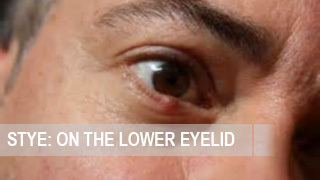 Therefore, people with this disease often wonder: how to cure stye quickly, without harming their health. 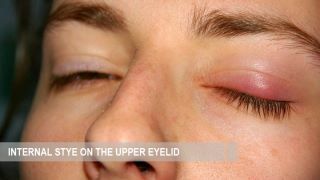 The earlier you start the treatment of stye, the faster recovery comes. 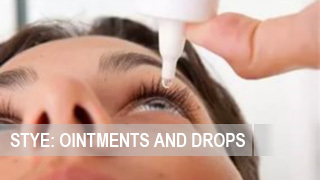 Therefore, if there is no opportunity to be consulted by an experienced ophthalmologist, you can use first aid at home. While stye is still immature, and there is no formed infiltrate fulled of purulence on its surface, the area of inflammation is recommended to be treated with a solution of brilliant green, iodine, or 70% medical spirit. Moreover, it is good to use eye drops such as “Similasan Stye Eye Relief Drops”, which can be bought in almost every pharmacy. Dry heat is also the way to cure stye quickly. For this purpose, use a boiled egg or a small pouch with heated salt. There are also some useful antibiotic ointments (ophthalmic erythromycin). 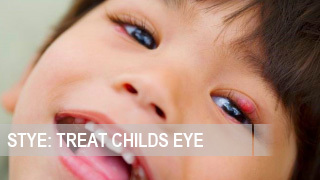 For the preventive purpose, in order to not to let the infection spread, it is good to treat a healthy eye as well. If the stye is accompanied by severe intoxication of the body, and the eye lid is greatly swollen, you need to call a doctor immediately. Only a doctor can diagnose you properly, and prescribe appropriate treatment. Marigold or Chamomile infusions. To make it, dry flowers are poured with boiling water, and infused for 30 minutes. Then, a cotton swab is dipped into the warm infusion, and the affected area is wiped every 2-3 hours. Lotions with birch buds decoction. For this purpose, use 2 teaspoons of birch buds, put in a thermos with 1 cup of boiling water. Infuse the lotion for 6 hours. After that, moisten a cotton pad and put it to the sick area for 10-15 minutes. The procedure may be repeated from 3 to 5 times per day. Lotions. You will need to cut off a leaf of aloe, wash it well, chop, and infuse in a glass of cool boiled water. After this, you can use the substance for lotions. Some people try to treat stye with urine, who use this information from books where urinotherapy is presented as a panacea for all ills. In order to not to let the infection penetrate the eye, it is not recommended to wash the eyes with urine, both your own, or others’. For the same purpose, do not spit in the eye, as folk omens advise. The human saliva contains many harmful bacteria. Do not touch the stye capsule with purulent contents on your own. It will not speed up the treatment process, but it will only increase the risk of inflammation of the deeper tissue layers. 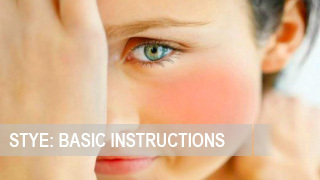 People with stye problem often start to panic, and they are looking for information on how to cure it quickly. This is not surprising. Even the most cheerful person will be in a bad mood due to discomfort, pain and cosmetic defects. 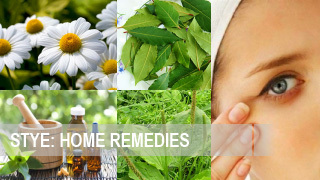 Thus, this article will help you to cure stye quickly and without any harm to health.